The first HPP project in Turkey is complete. 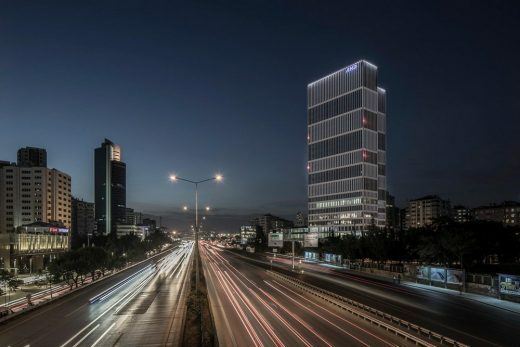 The split tower rises 110 metres into the sky above the Kozyatağı financial district. 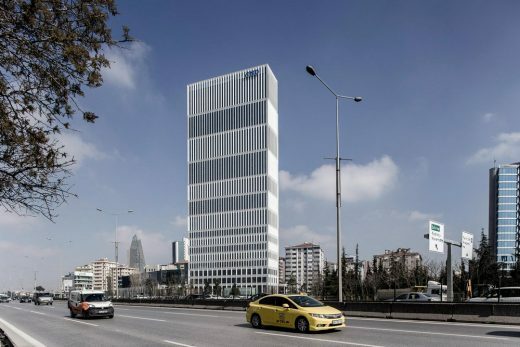 Four years after opening their Istanbul office, HPP have completed their first major project in Turkey. 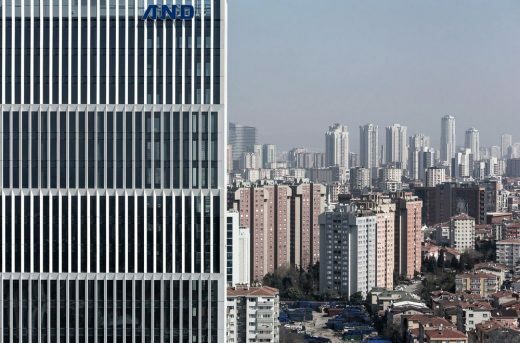 The 26-storey office tower has been succinctly named “AND” after the client, the multinational Anadolu Group. 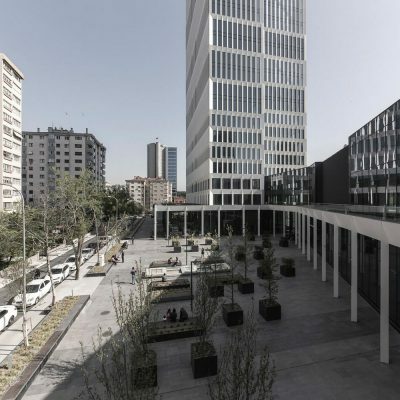 HPP Architects won the international competition in 2012 and consequently opened the Istanbul office, under the leadership of managing partner, Gerhard G. Feldmeyer. After two years in design, the foundation stone for the new building was laid in April 2014 and in October 2015, the construction works had largely been completed. Since then, the tenant fit-out and occupation have gradually taken place. 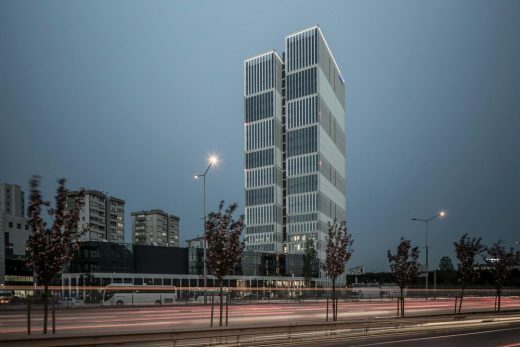 With its 110 metres, the AND tower rises out of the new Kozyatağı financial district located in the south of the Asian part of Istanbul. The completion of this third financial centre and further completions planned for the next twelve months demonstrate the growth of the Megacity of Istanbul: The third Bosphorus Bridge will be inaugurated in the summer of 2016, the third airport in the spring of 2017. The positive development of Kozyatağı goes back to the previous phase of expansion of the infrastructure. 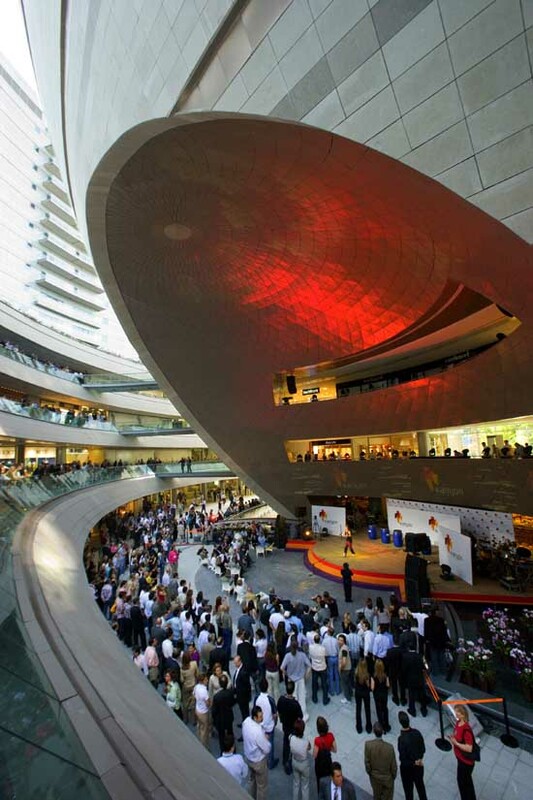 The district’s location, between the southern bridge and the second airport is ideal; the new underground line connects Kozyatağı directly to the city centre. 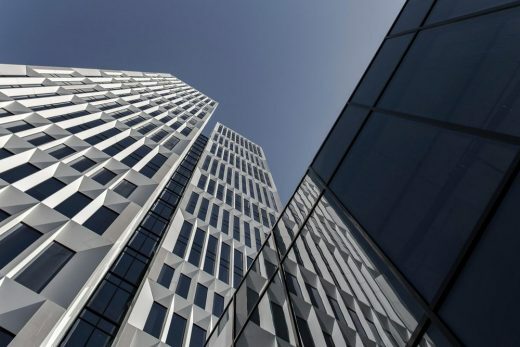 Due to the height limitations on the site and the amount of floor area required by the client, HPP divided the tower in order to emphasise its vertical character. 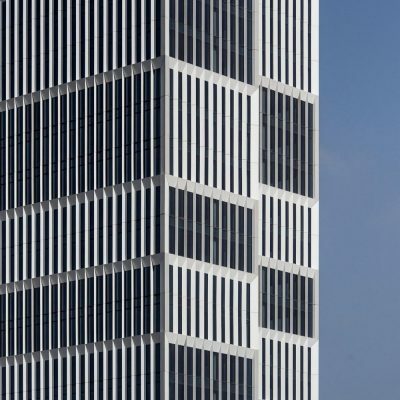 The arrangement of the façade contributes significantly to the visibility of the high-rise: The block-like arrangement of the triangular aluminium façade pillars, the positions of which are shifted every two to three storeys, produces changing light-and-shade effects according to the position of the sun. 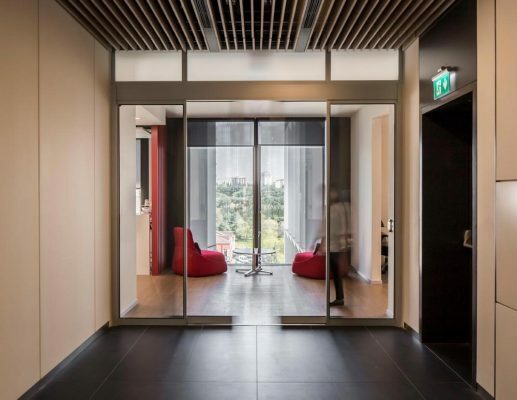 With a façade grid of 1.35 metres and a construction height of 8.10 metres, a variety of accessible and potential work environments can be created. The central arrangement of the service core allows division into up to four tenant nits per floor. 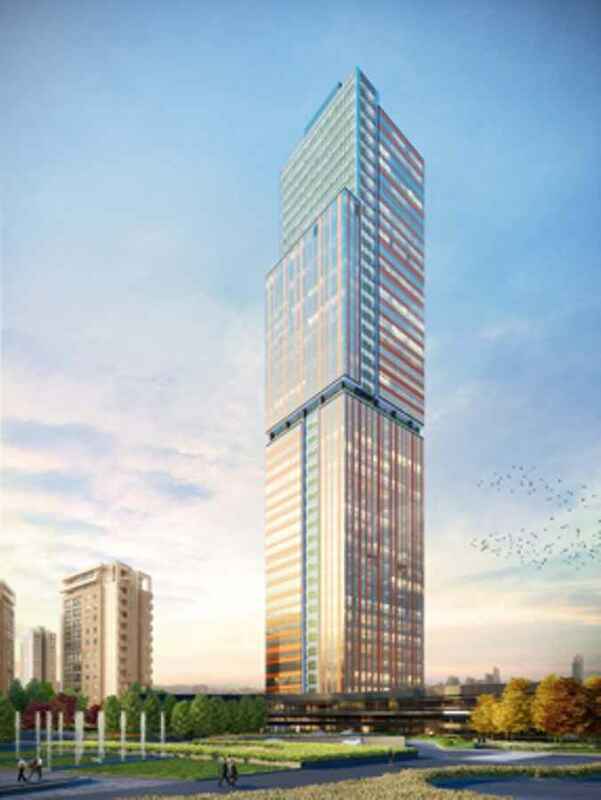 Of the total 73,300 square metres of gross floor area, slightly more than half will be given over to offices and retail areas above-ground, providing 1,800 work spaces. 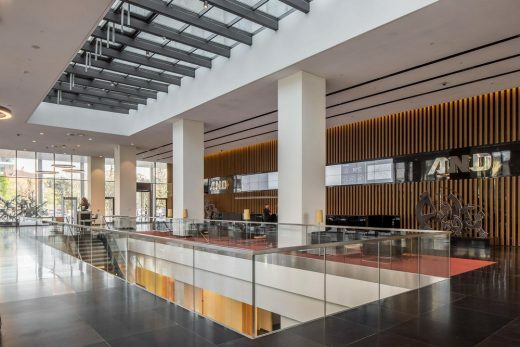 The other half contains the underground areas, which include a conference centre, a canteen for 350 people and a four-storey underground garage with 740 parking spaces. 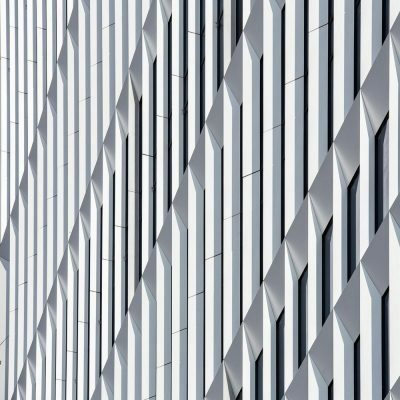 The sustainability of the building begins with the deliberately chosen orientation: shifting the layout by 45 degrees to the north-south axis has a positive effect on the energy balance. Just recently the building was awarded a LEED Platinum certificate. 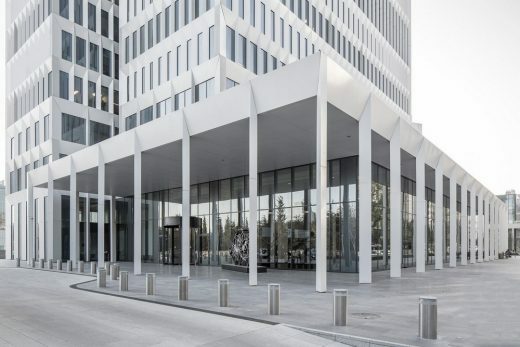 Partner-in-charge, Gerhard Feldmeyer commented, “As for the quality of the design, planning and execution, the AND tower exemplifies our understanding of architecture of lasting value. 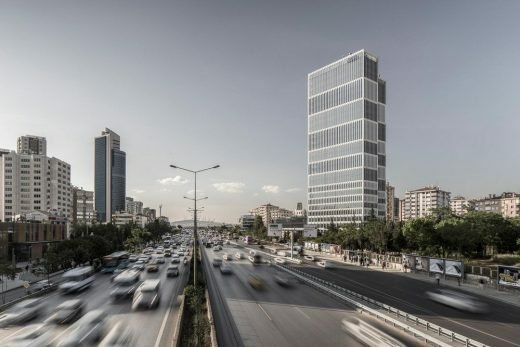 This success also confirms that it was the right decision to open an office on site in Istanbul.” “The AND tower can take its rightful place alongside buildings such as the HPP classic, the Dreischeibenhaus. 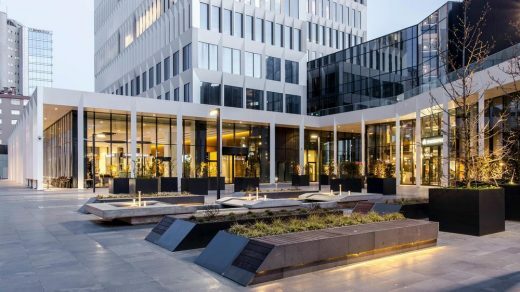 Even before completion the project received many similar prizes.” The AND tower received a total of six prizes in the Cityscape Awards 2014, and the European and International Property Awards 2015.